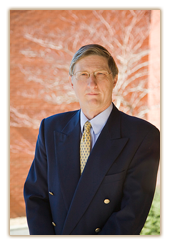 Kris M. Klovers |Mawicke & Goisman, S.C.
Kris is renown for providing legal expertise in personal estate planning (e.g. revocable and irrevocable trusts, wills, powers of attorney, estate and tax planning, marital agreements), business succession planning, acquisitions, general corporate law, disputes involving trustees and trust beneficiaries, prenuptial agreements and probate. I help you focus on details that matter and that will be important to your trustee, next of kin, business (or life) partner. Trying to rule from the grave or retirement doesn’t work, but identifying crucial issues and concerns and addressing them directly and realistically can substantially alleviate family stress and the chance of business failure. It’s fun. I enjoy meeting with clients, being faced with different issues, and helping others to identify the real issues and solve them. Rated AV® by Martindale-Hubbell (since 2000), indicating very high top preeminent legal ability and very high ethical standards based on evaluations by peers in the legal profession.